Join us on Saturday the 11th of February for the second round of the AMBC Summer Cross Country Series, at the classic Cobbler’s Creek trails, for a fast paced XCO race! You then need to pick up your plate and transponder on the day before the racing starts. A rough guide of the course map provided below – some tracking errors with the .gpx file, the track utilises all formed paths and runs anti-clockwise. 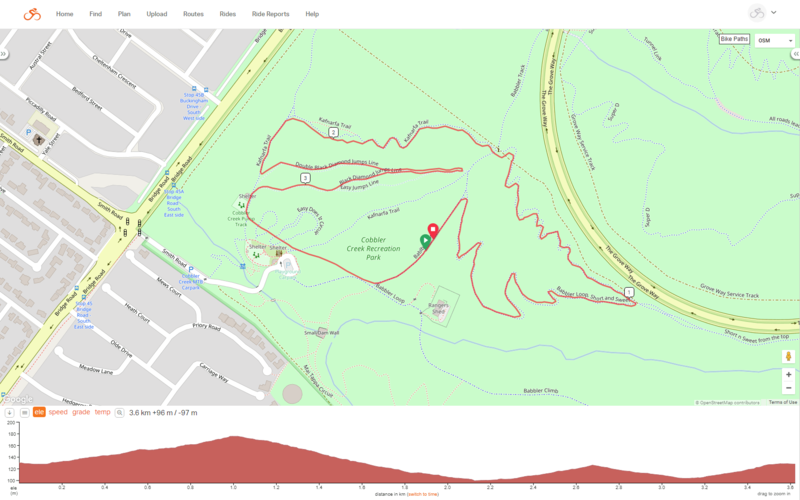 Information about the location can be found in our trails index http://ambc.asn.au/trails/index/, and an interactive map at https://www.trailforks.com/region/cobbler-creek/. Course will be set up the day before. Thank you to the wonderful vollies who are helping with this one we’ll be in touch with you. FREE once-off 8 week trial MTBA memberships are available on the above link. If you have any questions, feel free to email committee2018@ambc.asn.au for more information! or contact us via the facebook event page . This entry was posted in AMBC Races, General News, Juniors, Sponsors, Volunteering by Aurelia Strozik. Bookmark the permalink.